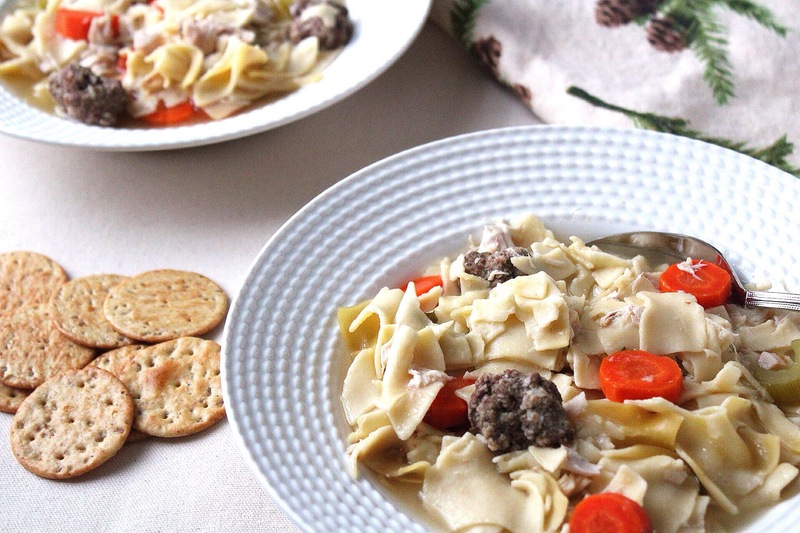 Monday-Chicken noodle soup – I love adding mini meatballs to my chicken noodle soup. To make this soup, add to a crockpot 8 cups chicken broth, shredded rotisserie chicken, mini meatballs (optional), 2 peeled and chopped carrots, 2 chopped celery stalks, 2-3 bay leafs, 1/4 cup chopped onion. Cook on low for 6 hours. Serve with cooked egg noodles. 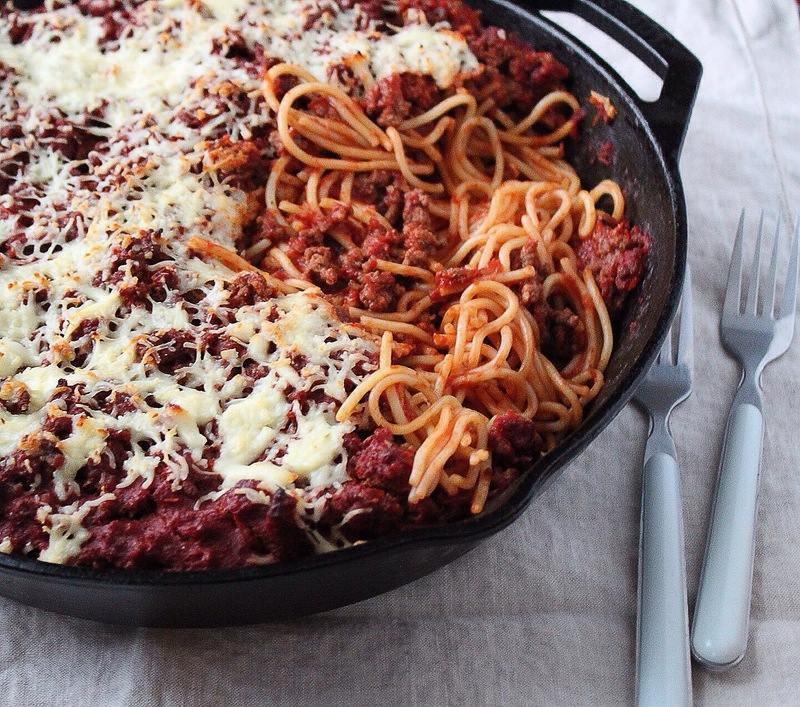 Tuesday– Baked skillet pasta – One word, WOW. Tastes just as good for leftovers! 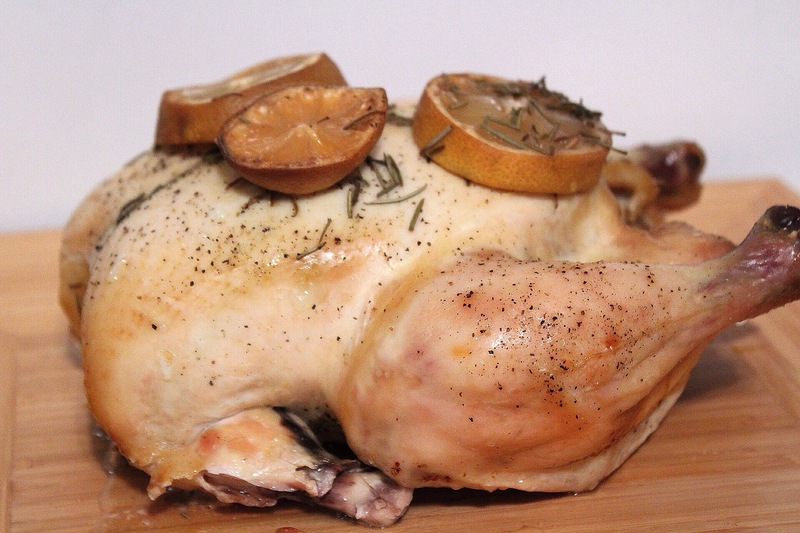 Wednesday– Crockpot lemon chicken with green beans and rice. 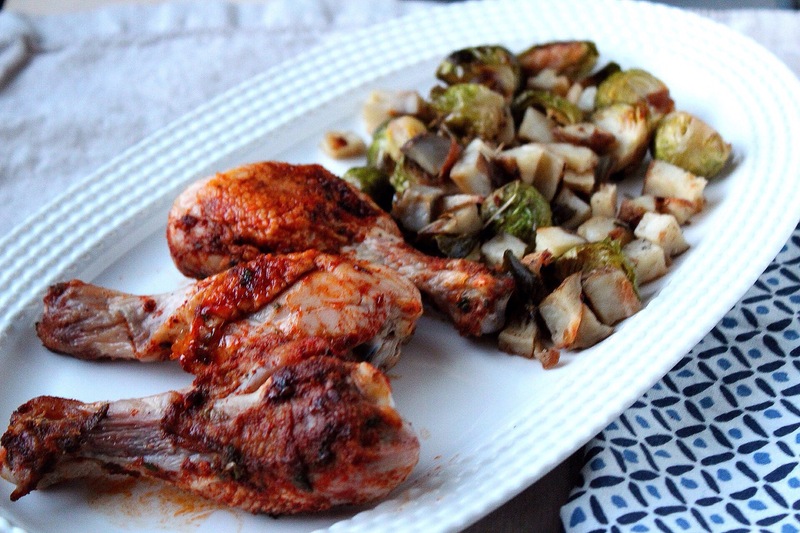 Thursday– Baked chicken legs with roasted potatoes and Brussel sprouts. I followed the recipe in the link and added the Brussel sprouts after 20 minutes, but ending up cooking the potatoes and sprouts for an additional 20 minutes. 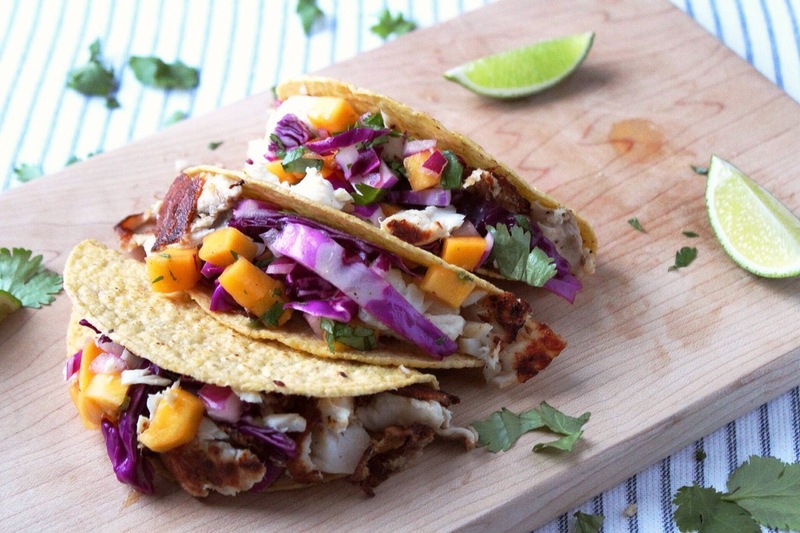 Friday–Fish tacos – What an easy way to make fish! I’m adding this recipe into my “go-to” list. My avocado was not ripe (thanks peapod), so I didn’t make the avocado sauce. Didn’t matter. Didn’t need it. The mango and cabbage slaw makes up for it!